Dr. Moghim is a Board Certified Anesthesiologist and practice leader at Colorado Pain Care. As a top pain clinician, Dr. Moghim founded Onyx M.D., a nationwide physician staffing company with corporate offices located in Denver, CO and Dallas, TX. The company has established a national staffing presence in all 50 states, thereby creating revenue growth that puts it on track to become one of the largest privately held physician services company in the United States. Most recently, Onyx M.D. was recognized in the new Topgrading 3rd Edition book released on August 16th, 2012, as a true Topgrading organization. To augment the service aspect of the company, Dr. Moghim implemented an employee-directed community outreach program called S.C.O.P.E., an acronym for: Service, Community, Outreach, Purpose, and Excellence. The program allows the employees of Onyx M.D. to submit a charity for the company to support. His strong leadership abilities were first recognized in high school and college where he excelled in soccer and achieved U.S. National Youth Soccer Team recognition, All American Honors, and NCAA Final Four achievements with the top ranked Division I Duke Blue Devils (Duke University). 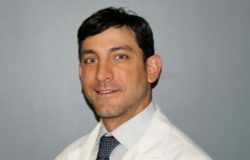 After graduating with honors from Duke University, Dr. Moghim attended the University Of Tennessee College Of Medicine, where he received his medical degree. Shortly after, he did his residency at The University of Colorado Health Science Center and completed the board certification process shortly thereafter. As an esteemed pain specialist with over ten years of comprehensive clinical practice experience, Dr. Moghim is also the founder of Horizon Anesthesia and Pain Consultants. Dr. Moghim has performed over 7,000 interventional procedures with no malpractice claims and a clean record with the National Practitioner Data Bank (NPDB). 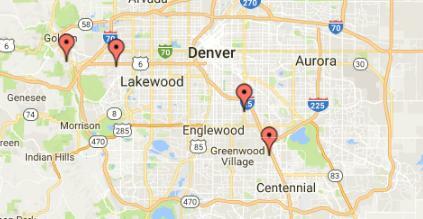 Dr. Moghim is also a Level 2 accredited workers’ compensation provider certified by the state of Colorado. Dr. Robert Moghim is an avid reader with interests in U.S. healthcare policy and politics. He also writes and contributes articles for the Onyx M.D. blog (www.onyxmd.com/about-onyx-md/blog/). By sharing his perspective on controversial healthcare policies, Dr. Moghim has acquired a strong following and garnered much attention through his writing. He has expanded his areas of focus to alternative treatment option research in the field of pain medicine. With Colorado ranking as one of the worst prescription drug abuse states in the nation, Dr. Moghim has set out to help alter this epidemic that has killed more people than car accidents, annually. In addition, Dr. Moghim was appointed to the Colorado Medical Board by Governor Hickenlooper in August of 2017. He will serve a four (4) year term as one of eight (8) physicians on the 16 panel board. The board is responsible for regulation and oversight of the practice of medicine and the healing arts in the state of Colorado.